Puno – Copacabana – Sun Island: Early morning between 6:00 – 6:30Hrs a guide and driver will pick you up from the hotel and then you will be driven to Copacabana including stop at border (migrations office of Peru & Bolivia) in order to board the Hydrofoil to your next destination and that will assist you with boarding and luggage. 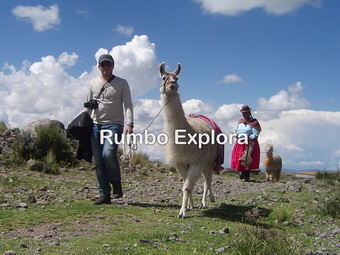 The town of Copacabana is located 150 km away from Puno Peru, 03:00 hour’s drive, with a population of 3000 inhabitants. In Copacabana there is a church built between 1601 and 1619. Sun Island: Sun Island or also called Titicaca Island is located in Lake Titicaca Bolivian side, which has a length of 9.6 km by 4.6 km wide and covers an area of 14.3 km ². Its first name was Titicaca Island which means Andean cat stone or puma stone. It has a rugged terrain with many terraces that ancient people have used for cultivation. The island was the Inca sanctuary with a temple of virgins dedicated to God Inti (the Sun), inhabited by indigenous Quechuas and Aimaras, who are cattlemen and farmers. The Sun Island is surrounded by archaeological sites from Tiahuanaco era such as the temple of the sun, steps, agriculture terraces and paths. It also shows the Chinkana or underground labyrinth, in addition Pilkokaina Palace and archaeological museum of Challapampa. Yumani is another archaeological site where there are stone steps that lead to the top of the island, where exists water source. 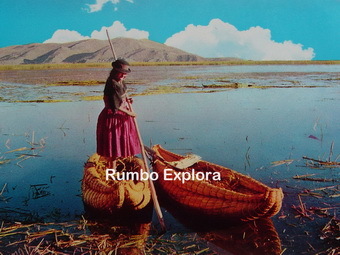 Moon Island – Copacabana – Puno: The Island of the Moon also called Koati, located near the island of the sun. It is a small, rugged island, has an area of 105.1 hectares. Its topography is steep besides to be as a plateau. On the island there is a temple called Iñakuyu or Palace of the Virgins of the sun, inhabited by Virgins women, the site was an acllawasi (house of the women chosen) the women learned various trades, particularly the weaving. It is also said that they could be used for sacrifice, and only to the Inca emperor was allowed the entrance to the Island. Currently the Island is populated by few families of indigenous of origin Quechua and Aimara, who are cattlemen and farmers. Finally a hydrofoil trip to Copacabana. Land transfer to Puno (Perú) or connection to La Paz (Bolivia). In the afternon around 17:30Hrs arrival in Puno and then transfer to the hotel. 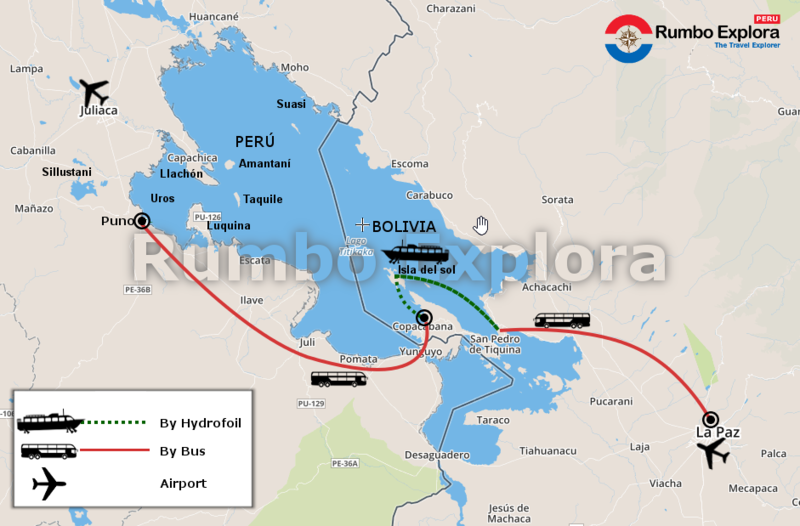 01Day Hydrofoil starting and ending in Puno-Peru US$249.00 Early morning 06:00 – 06:30Hrs pick up from your hotel then land transfer Puno-Peru to Copacabana-Bolivia, hydrofoil to Moon & Sun Islands, english-spanish speaking guide, entrance fees, buffet lunch at Uma Kollu restaurant (Sun Island), hydrofoil to Copacabana, and return land transfer Copacabana to Puno. In the afternoon around 17:30Hrs arrival in Puno-Peru and then transfer to the hotel. 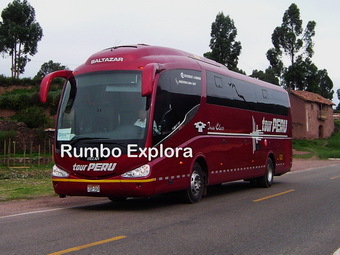 US$279.00 Early morning 06:00 – 06:30Hrs pick up from your hotel then land transfer Puno-Peru to Copacabana-Bolivia, hydrofoil to Moon & Sun Islands, english-spanish speaking guide, entrance fees, buffet lunch at Uma Kollu restaurant (Sun Island), hydrofoil to Copacabana, and return transfer Copacabana / Huatajata / La Paz. In the evening around 19:30Hrs arrival in La Paz-Bolivia and then transfer to the hotel. 02Days-01Night Hydrofoil + overnight, starting and ending in Puno-Peru US$295.00 Early morning 06:00 – 06:30Hrs pick up from your hotel then land transfer Puno-Peru to Copacabana-Bolivia, hydrofoil to Moon & Sun Islands, overnight & all meals included at hotel Posada del Inca Ecololodge (Sun Island), english-spanish speaking guide, entrance fees, hydrofoil to Copacabana, and return land transfer Copacabana to Puno. In the afternoon around 17:30Hrs arrival in Puno-Peru and then transfer to the hotel. US$380.00 Early morning 06:00 – 06:30Hrs pick up from your hotel then land transfer Puno-Peru to Copacabana-Bolivia, hydrofoil to Moon & Sun Islands, overnight & all meals included at hotel Posada del Inca Ecololodge (Sun Island), english-spanish speaking guide, entrance fees, hydrofoil to Copacabana, and land transfer Copacabana / Huatajata / La Paz. In the evening around 19:30Hrs arrival in La Paz-Bolivia and then transfer to the hotel. WHAT IS INCLUDED: The prices INCLUDE land transportation for all the group from Puno/Copacabana and/or Copacabana/La Paz, shared Hydrofoil Cruise to Sun & Moon Islands, English-Spanish speaking guide, entrance fees, insurance premiun, embarkation fees, guided visit church in Copacabana, lunch at Uma Kollu restaurant (Sun Island) and/or accommodation + all meals at Hotel Posada del Inca Eco-Lodge (Sun Island). Besides pre-trip information + organization and all local taxes. There are no hidden extras in our prices. The Hydrofoils have 18, 28, 40 & 60 comfortable seats, velocity of 27 knots + GPS + radio communication + night navigation lights + compass + oxygen & first aid kit + life jackets + toilet + Carpeted floor + panoramic windows + cooler. 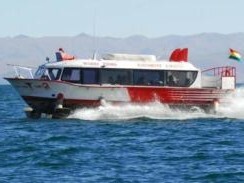 Share the post "Hydrofoil Puno – Sun Island – La Paz"